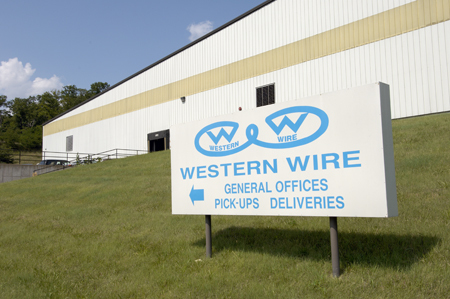 Western Wire is a leader in the wire forming industry with a diverse product line of industrial wire products & fasteners. Browse our product line, search for a specific part or let us help! Come on in and look a while, we'll help you find what you are looking for! Please contact us if there is any way we can be of service to you. Call us now at 1-800-325-3770 or 636-305-1100, or click here to contact us today. Cotter pins, spring pins, hitch pin clips, external hitch pin clips, S hooks, D rings, lock pins, key rings, ring clips, ring cotters, safety pins, tag fasteners, wedge-fast cotters, V hooks, made to order items and more. Supplier of military specification compliant Cotter Pins, MS24665, NASM24665, MS9245, AS9245 NASMS9245, Army Navy AN, ASME B18.8.1. Spring Pins, MS171, NASM171, MS16562, NASM16562. Safety Pins AA554881 AND AA554882 and more. Pipe hooks, J hooks, Stud Guards, Pipe Straps, FHA Straps, Perforated Hanger Iron and more.